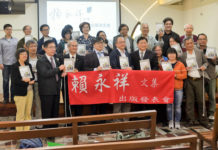 To commemorate the 70th anniversary of 228 massacre, a book launch of a Taiwanese heroic martyr entitled as «Tang De-Jhang: A Story of Justice And Courage That We Should Never Forget» was held at Tainan’s Zhengda Bookstore in the evening on 6 January 2016. This special date is also remembered as the 110-year-old birthday of Mr Tang De-Jhang. Mr Tang Chong-mo, the eldest son of Tang De-Jhang, also attended this book launch to express his appreciation from the audience and Taiwan society. Published by Japan’s Kodokawa Bookstore and entitled in the Japanese as «Thou, Sacrificing For Two Mother Lands», this book was initially written by the famous independent reporter, Mr Kodota Ryusho, then translated into the Chinese and co-published by Taiwan’s Yu-Shan-Sha Press. In the preface of his book, Mr Kodota Ryusho remarked straight forward that, to know today’s Taiwan, the event of 228 massacre – happened on 28 February 1947 – is absolutely a critical link too important to overlook. Mr Lai Ching-te, Mayor of Tainan City, specially came to this book launch and paid tribute to Tang De-Jhang and his families. 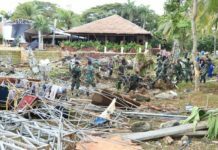 “Today when people commemorate such undaunted sacrifice of Tang, we should never forget his sense of justice and courage”, Mayor Lai stressed. 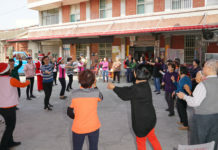 In fact, to commemorate Tang De-jhang’s strenuous spirit to love and protect his beloved Taiwanese compatriots, Tainan City Government had declared annual March 13 as “Day of Justice and Couragae” since 2014. Prof Jim Lee, a historian of National Taipei University of Education, was invited to give a brief presentation of the life and work of Tang De-jhang. Interweaving the treasured pictures, precious documents with his lucidly chronological narrative, professor Lee introduce to the audience the hard-working story of an ascending and brilliant young man yet finally ended up in a heinous KMT execution before the public without fair trial at his 40-years-old. The most praise-worthy and heroic legacy of Tang De-jhang, as a peace-negotiating officer within the “228 Event Settlement Committee” and an elected mayor candidate of Tainan City, was his insistence on justice and peace that he would rather keep silent and burn his critical papers into ashes than release to KMT soldiers any name list of those innocent students, colleagues, and fellow citizens when he was brutally interrogated and cruelly lynched. Mr Lee Wen-hsiung, an expert in Tainan local history and literary documents, proposed that the park where Tang De-jhang was tragically executed should become a memorial park commemorative of himself exclusively without other authoritarian statues being placed in it.